This is a review of Bodhi Linux - A light weight Linux distribution that runs the Enlightenment (E17) desktop. 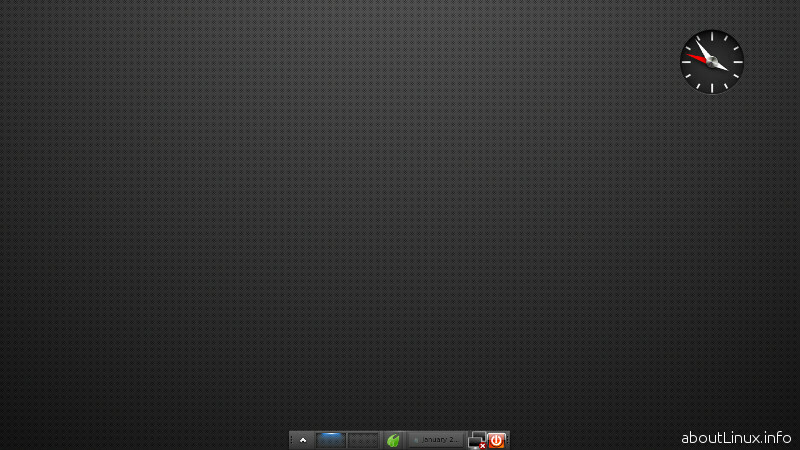 Bodhi Linux is unique because it is one of the few Linux distributions that is based on the Enlightenment E17 desktop. I wanted to try out Enlightenment (E17). I was on the look out for a lightweight Linux OS that ran all my favorite programs. I wanted to know if Bodhi Linux lives up to its promises. With that goal in mind, I downloaded the latest version of Bodhi Linux (version 2.1.0-32 at the time). A few days later, Bodhi Linux team released a new version namely 2.2.0. That was not much of a problem for me, you will know why further below. 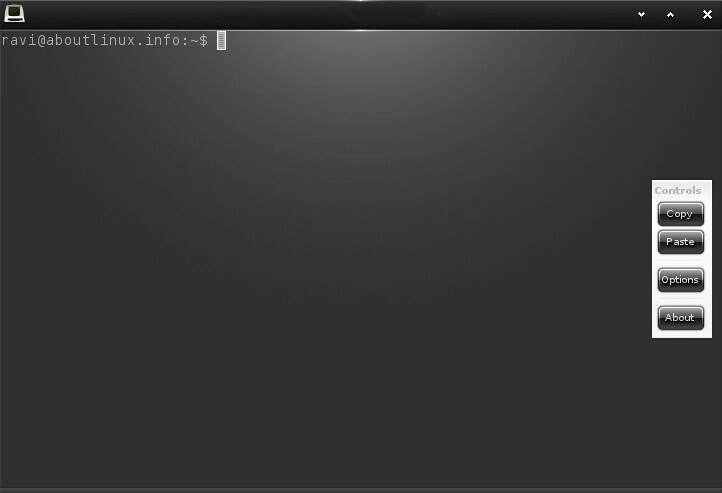 Bodhi Linux is packaged as a LiveCD image. And it supports 32-bit, 64-bit, and also provides customized images for several ARM architectures such as Raspberry Pi, Nexus 7, and Samsung Chromebook. I had a 32-bit PC which was a few years old and so I downloaded the 32-bit LiveCD image of Bodhi Linux. After burning the image to a CD I booted up using the liveCD. Bodhi Linux has included a total of seven E17 preset profiles meant for - tablets, desktop, laptop/netbook, fancy, composite, tiling, and bare. While booting the LiveCD, I was asked to choose the profile of my choice. When I selected a profile, it gave me a preview of how it will look which was quite helpful. That done, I was asked to select a suitable theme for the Desktop. Bodhi Linux makes available 5 beautiful themes for the E17 Desktop out of the box, and offers a lot more E17 themes online to readily download and use. Shortly after that I was presented the Enlightenment E17 desktop in all its glory. Bodhi Linux is built on top of Ubuntu. So it basically uses the Ubuntu installer to install on your machine. Installing Bodhi Linux is as simple as installing Ubuntu. If you have installed Ubuntu in the past, you will be right at home in installing Bodhi Linux. That said, one thing worth noting is while installing Bodhi Linux the installer will install the GRUB boot loader on the master boot record without prompting you. While this is not a big thing in itself, it will be nice if it asked where to install GRUB. For example, I wanted to install it in the Bodhi Linux partition which was at /dev/sda5. This was the main reason for downloading Bodhi Linux in the first place. And I was not disappointed. E17 desktop is every bit what it is advertised to be. A desktop that is lean, fast, beautiful, and customizable. Enlightenment has its own file manager, its own beautiful terminal called terminology, and its own settings manager that allows you to configure each and every aspect of the Desktop. It is fair to say that I found my productivity go up a notch or two while using Enlightenment in Bodhi Linux. 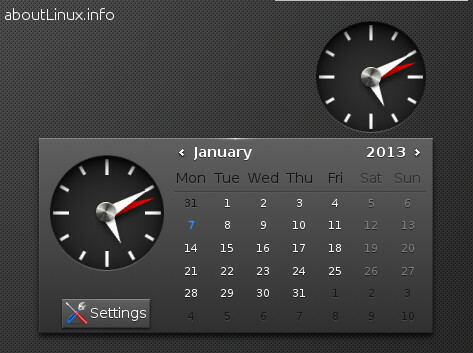 Bodhi Linux is based on two core ideals namely - Minimalism and User choice. Minimalism because Enlightenment and a core set of utilities it ships by default leads to a very responsive desktop that consumes very little memory and CPU resources. For example, the web browser included is Midori, you have a text editor in Leafpad, and an archive manager (File roller) to open your compressed files. Lastly, you also have Enlightenment and its set of associated utilities in all its glory. And "User choice" because you decide what program you want to install and run in Bodhi Linux. As Bodhi Linux is based on Ubuntu, you can install any and all the programs available in the Ubuntu repository. ... and your system will always be up-to-date. In fact, that is just what I did after I downloaded and installed version 2.1.0-32 to upgrade to the latest version 2.2.0. 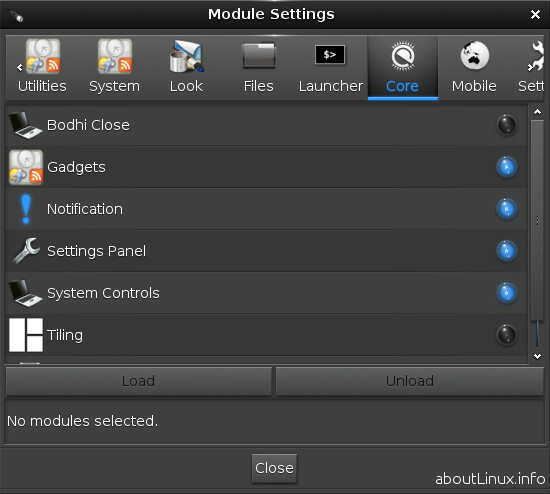 Bodhi Linux is a "semi-rolling" release. This means that we follow the Ubuntu LTS release cycle for the core of our distribution, but in between these major release we backport software to our users so all of their software stays current. This means to stay with the latest release of Bodhi you only need to reinstall your system every two years, while still having current versions of your favorite applications. Bodhi releases are supported/get security updates for as long as the LTS base is supported by Ubuntu, which is five years. 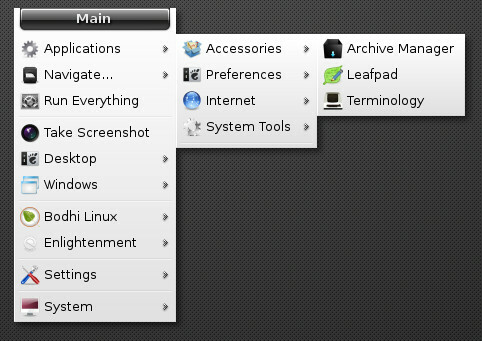 Bodhi Linux team has put together an Online App Center at appcenter.bodhilinux.com which lists various applications (software) for you to install with a single click. How it works is explained in the following help page. You can also install applications the traditional way using apt-get, aptitude, and via Synaptic Package Manager. As such installing new applications in Bodhi Linux is quite simple. I have a Huawei wireless USB modem (Idea Netsetter) which was automatically detected by Bodhi Linux and I was able to log on to the Internet. Bodhi Linux is the Linux distribution to download if you want to try Enlightenment (E17) in all its glory. It helps that Bodhi Linux has an active Enlightenment developer (Christopher Michael) in its team. After trying out Bodhi Linux, I feel, the packaging of E17 by the Bodhi Linux team is a lot more polished than what its competition offer. I am really hooked. All the applications I depend on run smoothly in Bodhi Linux. Java, Flash player, media files, all work flawlessly once you download and install the required packages from its App Center. Till date I haven't found any fault while using this cute little Linux distribution. Bodhi Linux promises to be an ideal choice to run on both old and modern computers, and other devices alike. I suggest you download Bodhi Linux and give it a try.